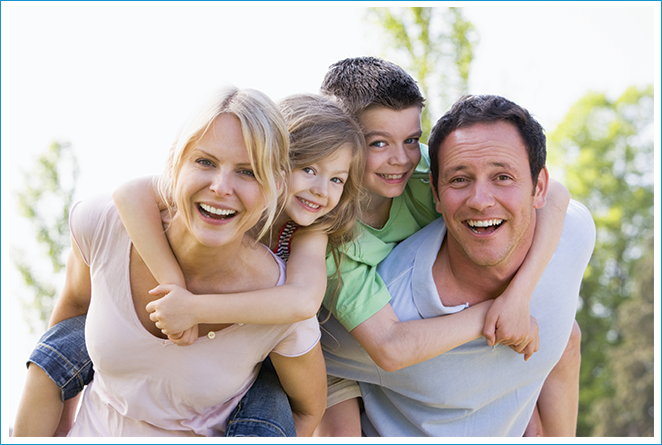 At Family Lawyers & Mediation Services we have a unique approach to family law. 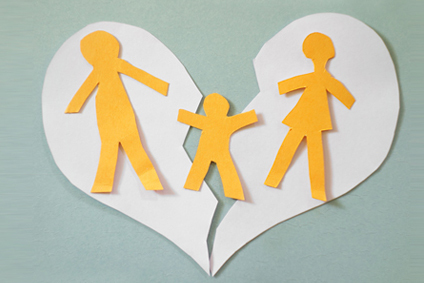 We understand that family law issues involve times of personal crisis. It is important to obtain family law legal advice before you act on emotional issues (emotions may be running high on all sides) and may escalate if issues are not handled appropriately. We are conveniently located at Springwood, close to Brisbane, Logan City and the Gold Coast with an office at Helensvale. We are experienced in all areas of family law and mediation (family dispute resolution) and our senior partner Randal Binnie is an Accredited Family Law Specialist (Queensland Law Society). Mediation of Property Settlement issues and FDR (Family Dispute Resolution) including the issue of Section 60I Certificates where appropriate. Divorce Applications – Married overseas? We can help. We can help you through legal negotiation, mediation, collaborative law or where necessary litigation in the Family Courts. Take the time to talk to our Family Lawyers and get professional legal advice. If a resolution cannot be found through negotiation, or other dispute resolution methods we can effectively represent you in the Family Law Courts of Australia. This firm is a member of the Queensland Law Society Limitation of Liability Scheme which is a scheme approved under professional standards legislation and limits the liability of members. A copy of the scheme can be obtained from the Queensland Law Society or upon request from the firm. The following information is provided as an overview of matters relating to arrangements for children. Your particular circumstances will be discussed with you at the time of your appointment. a consent order filed in Court. Where parents have reached a negotiated settlement of parenting issues then this settlement can be documented by either a Parenting Plan or Consent Court Orders made by the Court. sets out the procedures for the review of parenting arrangements in the future and in the event of a failure to reach agreement about parenting arrangements. is made under the provisions of the Family Law Act 1975 relating to parenting issues and dealing with the care, welfare and development of a child. is a voluntary agreement made which is made free from any threat, duress or coercion. cannot (until it has been made a Court Order) be enforced by contravention proceedings in the Court, however, if there is a breach of the Parenting Plan then in the absence of a negotiated resolution the dispute can be referred to the Court for the making of a Court Order dealing with the dispute. must be taken into account by a Court when making a Court Order if a dispute regarding parenting issues is referred to the Court at sometime in the future and the Court will consider what is in the best interests of a child and the compliance with the obligations under the Parenting Plan. may make changes to a previous Court Order without the necessity of being referred to the Court for such changes to be made to the Court Order where the parents agree to the changes. is not required to be registered with the Court or any other authority (except where there are court proceedings taken contrary to the terms of the Parenting Plan). can be enforced by contravention proceedings in the Court if there is a breach of the Court Order. Prior to any matter relating to parenting issues being filed in the Court the parties are required to participate in family dispute resolution with the assistance of a registered family dispute resolution practitioner (unless exceptions as set out in the specific provisions of the Family Law Act apply, such as domestic violence, child abuse, urgency, etc). Family dispute resolution is a process of mediation of parenting issues between the parents with the assistance of a family dispute resolution practitioner (mediator). If agreement can be reached as to the parenting arrangements then these arrangements can be formalised by either a Parenting Plan or Court Orders made by the consent of the parents. However, if agreement cannot be reached then a Certificate will be issued by the family dispute resolution practitioner which then enables either party to file court proceedings for parenting issues. If a party fails to participate in family dispute resolution then a Certificate may be issued to reflect this and court proceedings commenced. In the event that the court orders the parties to have equal shared parental responsibility the court must apply the provisions of 65DAA of the Family Law Act 1975 which provide for a consideration of the child spending equal time with the parents. If the court finds that is not in the child’s best interests or reasonably practicable then the court must consider the child spending substantial and significant time with the parents. significantly less expensive than contested court proceedings. In Collaborative Law, both parties and their lawyers formally agree to stay out of the court system to solve disputed property issues. Both lawyers are contractually bound to stay out of court, as they cannot represent their clients in court should negotiations fail. In Collaborative Law, the lawyers work together as problem solvers for the parties. In the Collaborative Law process, the parties control the result, the timing and the costs. The Collaborative Law process is private and confidential. It may be less expensive than going to court. In arbitration the parties will receive a binding decision from an arbitrator who is usually a former judge, experienced barrister or solicitor. Arbitration, whilst an alternative method of dispute resolution is similar to going to court but the matter is decided by an arbitrator rather than a Judge. Once of the advantages of arbitration is that it will take less time to get a decision and generally should be less cost. We can provide mediation and collaborative law services within our firm and represent you in an arbitration procedure. If we have not already explained those possible methods of resolution please ask. Family Separation Mediation is a decision making process where the parties are assisted by the family mediator by attempting to improve both the communication between the parties and the generation of options to resolve the issues in dispute with an outcome that is acceptable to the parties. Family Mediation may reduces and/or overcomes communication problems, allowing each party to understand and perceive the others view point. Family Mediation promotes constructive and efficient negotiations by focusing on needs and interests rather than the positions of the parties may have taken. The parties themselves are empowered and encouraged to take care of their own decisions and accept responsibility for consequences of those decisions. The relationships of the parties are improved or at least not damaged (which is the opposite usual outcome of litigation). The parties are introduced to a method/model of resolving later conflicts or at least made aware that there is a viable alternative to litigation. The most cost effective and sensible approach to resolving family issues (children & property) is to engage a competent family mediator who is well versed and experienced in family law. 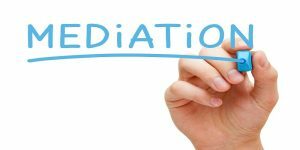 If you are interested in proceeding with mediation then you will need to advise us as once you have engaged us to act as your lawyers our mediator will not be able to act as a mediator because of the conflict of interest which arises once we have given parties legal advice. 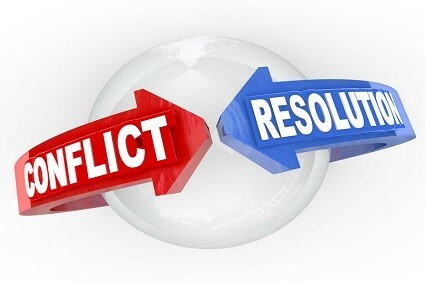 Visit MediateResolve (www.mediateresolve.com.au) to learn more about our mediation services. Collaborative law is an innovative way to resolve family law disputes respectfully, without going to court. There are collaborative family lawyers in Brisbane (and throughout Queensland and Australia) who can help you to have a better divorce. Collaborative law was developed by a Minnesota Lawyer (Stu Webb) in the 1980’s and is now practiced in many countries including Australia. Collaborative law offers separating couples a way to resolve issues about parenting arrangements and property settlement without going to court. The parties have the advantage of having their own lawyer assist them in four way meetings (ie the lawyers and parties meet together). The meetings and the matters discussed in those meetings are completely open with the parties undertaking to co-operate, share information and work together towards a mutually agreeable settlement with the assistance of their lawyers. The core elements arise from a participation agreement or collaborative contract which the parties and the lawyers all sign at the first collaborative four way meeting. The collaborative contract provides that everyone will work towards reaching an agreement and will transparently participate in in the process good faith. The agreement provides that the lawyers will not be able to continue to act for their clients if the process fails. The downside for the parties is that if one of them elects to go to court or the process fails for other reasons then they will have to invest in more time and expense to engage new lawyers and obtain other expert reports. The lawyers are therefore focused on helping the parties reach an agreement and to negotiate a mutually acceptable settlement without having courts decide issues. Talk to us as we are Collaborative lawyers having received special training and are members of Queensland Collaborative Law group and members of the International Academy of Collaborative Professionals. Talk to your partner/spouse about collaborative law and encourage them to see the advantages for your family. At Family Lawyers & Mediation Services we can see both you and your partner and give you both information about collaborative law and other methods of resolution of your family law issues that are available to you. You don’t have to go to Court! Simply arrange for an Information Session. The information you receive will help you decide on the best way to move your family forward. 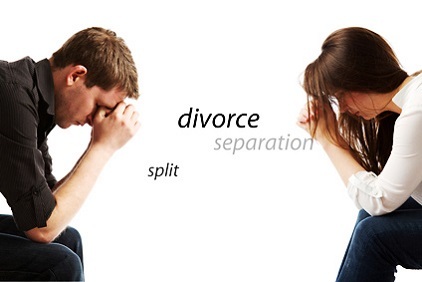 You and your former partner may be able to negotiate and resolve the issues in dispute in relation to the distribution between you of relationship property and in that case the matter can be finalised by consent orders made in either the Family Courts of Australia or by way of a financial agreement. We will discuss with you which method is appropriate to your circumstances once you have advised us that a settlement has been reached. as the preferred methods be undertaken to attempt to resolve the issues in dispute but if this cannot resolve the matters in dispute it may be necessary to commence court proceedings. Whilst we are focused on resolution of your family law matter an application may be necessary to the courts in appropriate circumstances to resolve the issues in dispute in family law matters. We have the “expertise and experience” to represent you in court proceedings. We are able to provide you with our strategic legal advice before and during the progress of your matter in Court with a view to enhancing your prospects in the Court’s determination of your matter. In court proceedings both legal issues and the strategies employed in the proceedings are important to achieve the best possible outcomes. 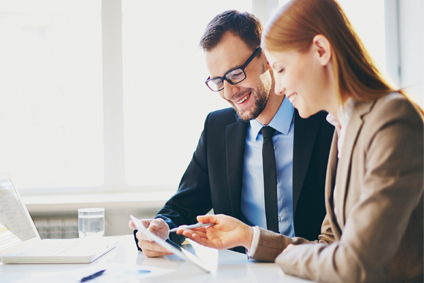 We assess your case and recommend the strategic approach best suited to your circumstances. at the final hearing the parties and their witnesses will be required to give evidence (by affidavit) and be subject to cross-examination of that evidence. Once the Court has heard all of the admissible evidence relevant to the case, the Court will make a determination of the dispute (the determination may be made by the Court on the same day as the final hearing however often be determination is not made for some time after so that the Court can reconsider the evidence given at the final hearing and prepare a written judgement). The relative financial strengths and weaknesses of each party. Determining each party’s respective contributions to the property and to the welfare of the family. In determining the respective contributions made by each party to the acquisition, conservation and improvement of the property, the Court is required to take into account both financial and non-financial contributions made, as well as contributions made to the welfare of the family (including any contribution made in the capacity as home maker or parent). The contributions towards the acquisition, conservation or improvement of the property are taken into account whether these contributions were made before, during or after the end of the relationship and whether the property belongs to either or both of the parties. Where one party has introduced significant assets into the relationship then that party will generally receive substantial credit for that initial capital contribution and this is particularly the case in respect of relationships of short term. The Court will also look at the financial and non-financial contributions made during the relationship to the acquisition (eg: purchase price) and to the conservation (eg: mortgage payments, maintenance and repairs) and to the improvement (eg: extensions and renovations) of the property. Non-financial contributions may include the value of a particular skill or expertise which one party has used in acquiring or building up the property assets. Any gifts made to one party during the relationship by a parent or relative would be regarded as a direct financial contribution made by that party to the relationship. Determining the respective needs and resources of each party under the Family Law Act 1975 by looking at “any fact or circumstance the Court considers the justice of the case requires to be taken into account”, as well as the age of the parties, health, income, property and financial resources, care of the child of the relationship who is under the age of 18 years, responsibility of either party to support another person, earning capacity, eligibility for a pension allowance or benefit, standard of living, the length of the relationship, and the extent to which the relationship has affected the earning capacity of each of the spouses, cohabitation with another person, payment of child maintenance. The fourth and final step is for the court to determine whether in all the circumstances it is “just and equitable” to make the orders for property settlement which are proposed from the operation of the previous three steps. This is the stage where the court considers the mix between actual assets and superannuation in the division of the property. In the case of Defacto Relationships – Any applications to Court for property or spouse maintenance must be commenced by filing an Application within 2 years of the date of separation. In the case of married couples – Any applications to Court for property or spouse maintenance must be commenced by filing an Application within 12 months of the date of divorce. If proceedings are not commenced within the required time frame you may forever lose your rights under the Family Law Act, although in limited circumstances you may apply to the Court to commence proceedings out of time. Please note that we cannot commence proceedings without your instructions to do so. There is a common misconception that property settlement proceedings can’t be commenced or negotiations commenced until after a divorce. That is not correct as property and spouse maintenance proceedings can be commenced at any time following separation even if you continue living in the same home. If there is a pending sale of property you should also take steps to ensure that the proceeds from the sale are not distributed to either you or the other party but are retained in a solicitors trust account until either a financial agreement or court orders are made to finalise the issue of property settlement under the Family Law Act. These steps need to be taken formally and in writing and prior to settlement of the sale of the property. Please discuss this with us as we cannot take the necessary steps to protect your interests without your specific instructions to do so. The distribution or change in ownership of property may have taxation implications, in particular Capital Gains Tax. As this firm does not practice in the taxation area, we suggest that an accountant be engaged to advise in relation to these taxation matters. If you currently have an accountant or taxation advisor able to professionally advise you with respect to such issues, then you will need to consult him or her so that these issues are properly considered before you agree to the terms of a property settlement. Where real property such as vacant land, building, dwelling house or unit is registered in the names of yourself and your former spouse as “joint tenants” then until documents are registered in the Land Titles Office to sever the joint tenancy, the surviving joint owner will be entitled to receive the whole of the property in the event of death. This applies even though your relationship has ended and even if your Will says otherwise. Also, where real property such as vacant land, building, dwelling house or unit is registered in the sole name of your former spouse then a caveat should be registered in the Land Titles Office to prevent any dealing with this property from taking place until the property settlement has been finalised. The caveat will prevent the registered owner from dealing with the property whilst the caveat is present. The caveat may be lodged before or after court proceedings have been commenced, but if lodged before then court proceedings must be commenced within three months of the lodgement date and notice of the court proceedings given to the Land Titles Office to prevent the caveat from lapsing. If these situations apply to you, please discuss with us as soon as possible. It is possible to make an application to sever the joint tenancy and/or register a caveat however we cannot do either of these without your specific instructions. If you are transferring real property under court orders or financial agreements under the Family Law Act there will be stamp duty exemptions available. according to rigid formulae set out in government legislation. If your Will is not properly drafted or correctly signed it may be ineffective and cause your family even more financial and emotional distress. Why should I have an Enduring Power of Attorney? Under an Enduring Power of Attorney you may give your attorney the power to deal with all or any part of your financial, personal and health matters. You cannot appoint an attorney unless you have mental capacity, so an attorney one should be appointed while you are healthy. A Power of Attorney is just as important as having a Will. While a Will operates on your death, a power of attorney operates during your lifetime. We can put your mind at ease when it comes to the drawing up of your Will and Enduring Power of Attorney or Advanced Health Directive. We also offer professional advice and services for administration of deceased estates. We have fixed fees for simple Wills and Enduring Powers of Attorney. You should also give consideration to the contents of your Will having regard to your present circumstances. Your Will should be varied or amended to properly reflect your current wishes as to the disposal of your property in the event of your death. If you were to die prior to your decree of dissolution of marriage and without having removed from your Will the bequest in favour of your former partner, then your former partner would be entitled to receive a benefit granted under the Will. If you do not have a Will then the laws of intestacy will apply and your former partner may be able to claim an interest in your estate. You should review your Will, or if you do not have a Will then you should make a Will. You should discuss this matter with us as soon as possible. 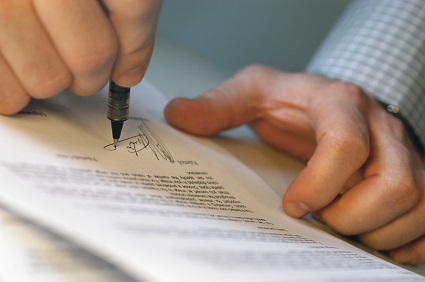 If you have a general power of attorney or an enduring power of attorney where you have appointed your partner as your attorney we suggest that you review the appointment given that your attorney can make decisions in relation to property held by you including bank accounts and real estate and in some circumstances could misuse of power granted. 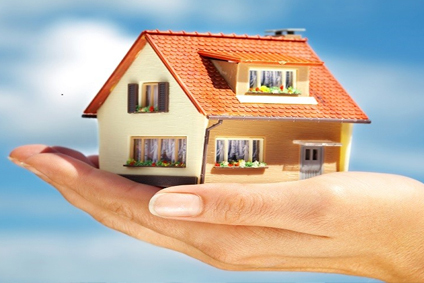 If you hold real estate jointly with your spouse you should discuss with us how that property is held. If the property is held as joint tenants as is usually the case with married couples, then the share of a deceased joint tenant automatically passes to the surviving joint tenant. This occurs regardless of whether any other provision is made in the deceased parties Will. Many superannuation funds and insurance policies have provisions for the nomination of a beneficiary. If you have nominated your partner as a beneficiary you may wish to review that nomination. It is important that you nominate beneficiaries if that is possible as it will be of great assistance to both superannuation fund and your estate administrator in the event of your better. 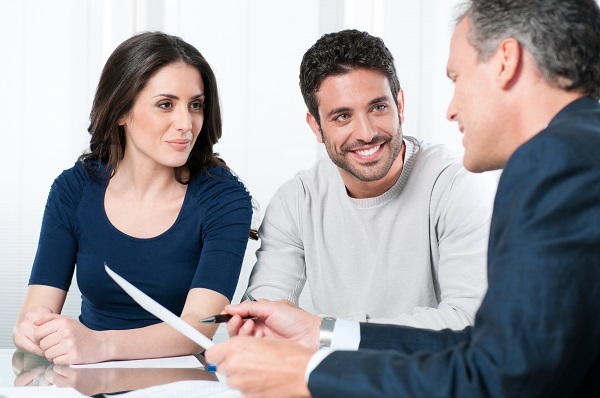 Additionally, you should consider whether you should protect your interests against your partner accessing joint funds by withdrawal of monies from joint bank accounts, use of credit cards, drawback of monies from loan facilities, sales of shares or other assets or sale or disposal of real property. You should attend to some matters immediately such as withdrawing the authority to operate on accounts, in some cases freezing accounts, change your passwords and pin numbers on bank cards and accounts including Internet passwords, notifying financial institutions that you will not be liable for credit or goods purchased by your partner. Before taking any of the steps we suggest that you discuss your circumstances with us. You should not provide copies of court documents or information relating to your court matter to any other person or organisation as to do so may be an offence under s 121 of the Family Law Act 1975.
any account of any proceedings or any part of any proceedings under the Family Law Act 1975 that identifies a party to the proceedings, a person who is or alleged to be related to or associated with a party to the proceedings or a witness in the proceedings. The “account of proceedings or of any part of proceedings” will be in breach of s 121 if it contains particulars of the name, title, pseudonym or alias of the person, the address of any premises at which the person resides or works or the locality which such premises are situated, the physical description or the style of dress of a person, any employment or occupation engaged in professional practice or calling issued by the person or any official or honorary position held by the person, the relationship of a person to identified relatives of the person or association of a person with identified friends or identify businesses official or professional acquaintances of the person, recreational interests or the political, philosophical or religious beliefs or interests of the person or any real or personal property in which the person has an interest or with which the person is otherwise associated, and where the particulars are sufficient to identify the person to a member of the public or to a member of a section of the public to which the account is disseminated. publication of accounts of proceedings where those accounts had been approved by the court.